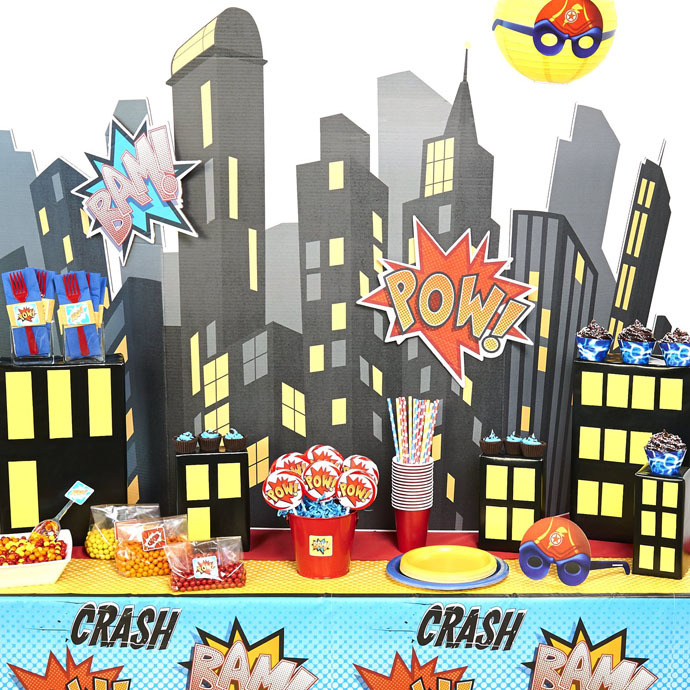 Perfect for any superhero-loving birthday boy or girl, our Superhero Comics party supplies are designed to bring out the best parts of any comic book: the action, the art, and the fun! Every piece has a unique hand-drawn look that looks like it’s been lifted right off the page. Plus, you can further enhance this theme with more superhero party supplies in the image of your child’s favorite characters, like Marvel’s Avengers, or DC Comics’ Batman. All of these D.I.Y. 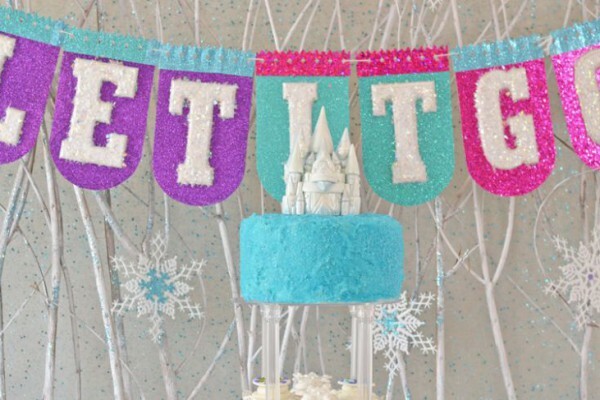 party decorating ideas work wonders for our superhero party theme, too. Keep on reading to learn more and get inspired for your own party plans! This epic city scape is the perfect backdrop for any superhero party. A few empty boxes give it a wonderful 3-D effect, too. Place Superhero Comics tablecover on table. Fold or cut red table cover into a long strip to use a table runner and place in the center of the table. Place standup on back half of table, and attach included signs with tape. Wrap assorted boxes with black paper. Cut placemats into assorted rectangles and tape in lines to front of boxes to create windows. Arrange boxes on table as desired. 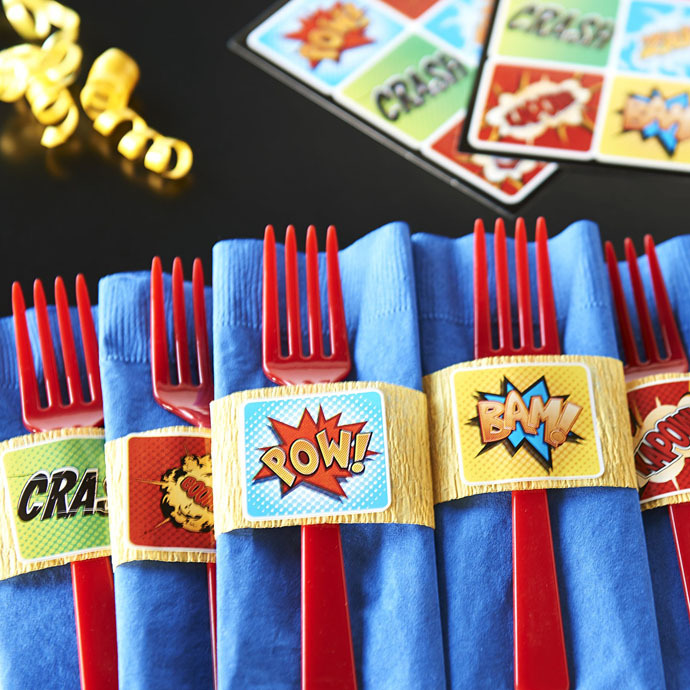 Add a little extra superhero style to your party with these easy table settings. Fold napkin into thirds lengthwise and secure with tape. Cut crepe to fit around napkin and secure with tape in back. Place sticker on front center of crepe. 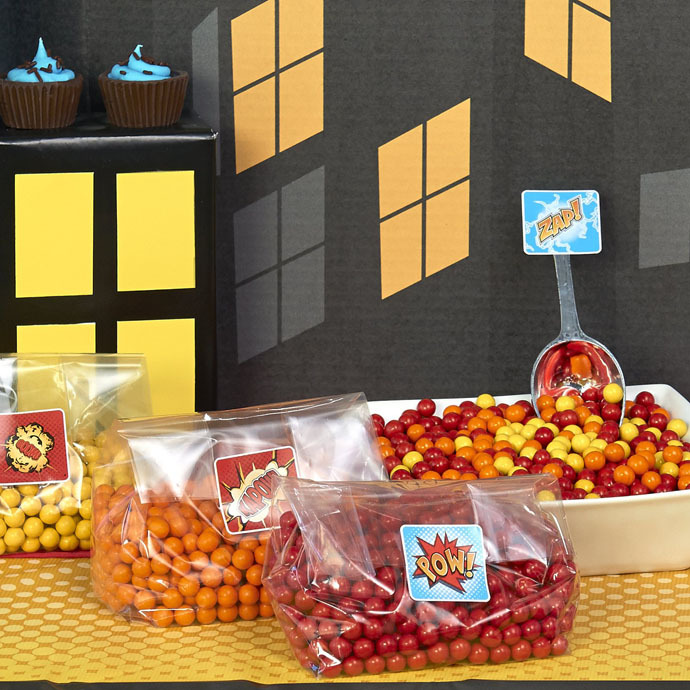 Send the guests home happy with these cute and creative superhero party favor bags! Fill with your child’s favorite toys, trinkets, or sweets. Fill bag with 1 cup or more of Sixlets. 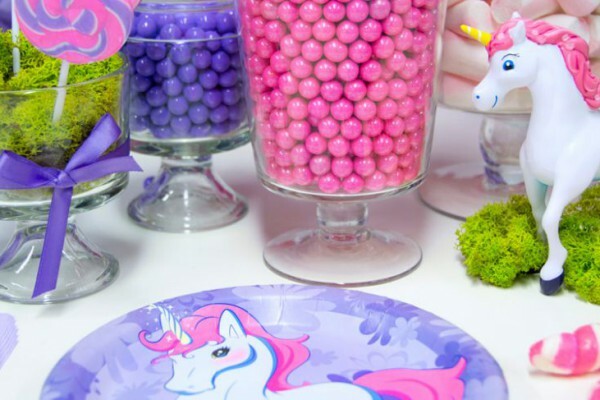 You can also substitute other kinds of colorful candies and party favors. Cut bag to leave 3-4” above fill line. Fold over and secure with sticker. Wham, bam, pow! Add some superhero fighting force to your party space with this decorating idea taken right out of a comic book. Secure crepe to top height of wall and twist down to floor. Secure with tape and cut. Repeat, alternating colors, as desired. Assemble fluffy decorations and lanterns as directed. Punch out mask eyes and tape around lanterns. Cut placemats into jagged shapes. Using a black marker or paint, write comical words like “Pow” and “Bam” in center. 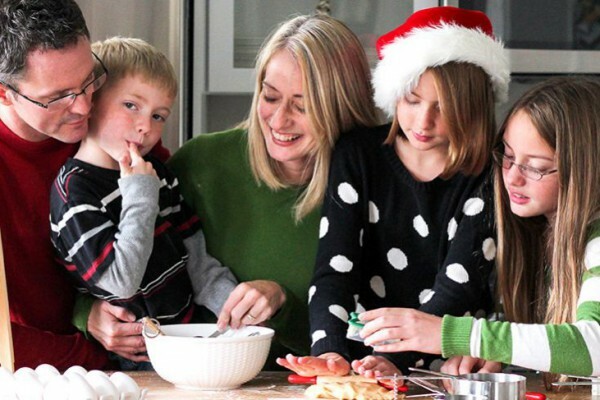 Attach placemats to fluffy decorations with tape. Hang in staggered heights from ceiling in front of crepe. 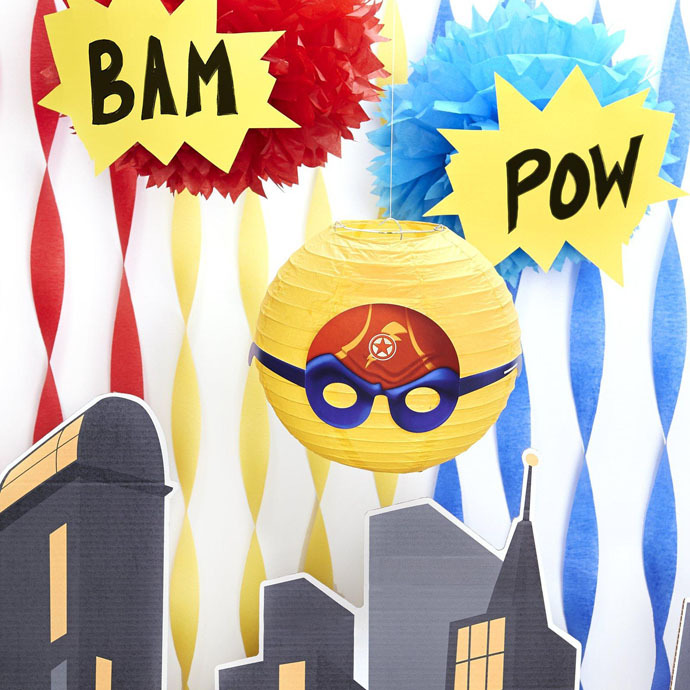 What did you think of our superhero party supplies and DIY party ideas? If you want to see more posts like this one in the future, let us know what kind of ideas and party themes we should come up with next! Find us on Facebook and Twitter to share your thoughts, and follow us on Pinterest for even more awesome party ideas for kids. 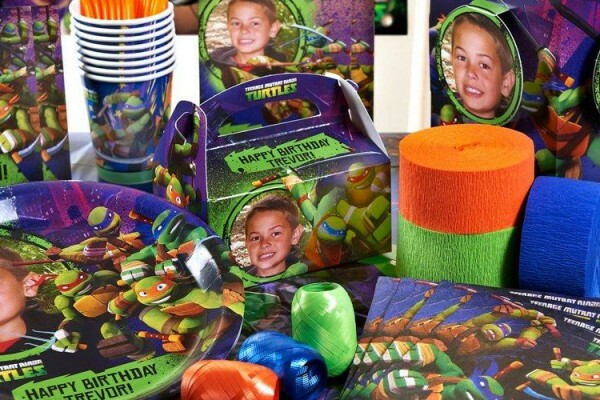 Shop the entire collection of Superhero Comics party supplies on Birthday Express. Shop Avengers, Batman, and more superhero party supplies on Birthday Express.